Now that winter’s over and the year is progressing at a far faster, sunnier pace, it’s a good time to take stock of things. This year has brought an incredibly strange mix of news stories, including a big shift in the music industry. 2014 has been a particularly productive year for Galactic, who’ve decided to switch things up in the face of a changing industry. The band has released a single a month, starting with January’s “Dolla Diva”, which reunites the group with “Hey Na Na” collaborators David Shaw and Maggie Koerner. Koerner has been a major player in Galactic’s latest songs, accompanying the band on their tour and also singing JJ Grey’s part on February single “Higher & Higher”. The band’s previous trilogy of albums, starting with 2007’s From the Corner to the Block, tell a New Orleans narrative spanning a celebration of days. 2010’s Ya-Ka-May is a fluid melding of genres and 2012’s Carnivale Electricos draws from NOLA’s Mardi Gras as well as Brazil’s Carnivale. Always up for experimentation, Galactic’s latest focus of putting singles before a record makes fans all the more hungry for new material, which they’ll get in the form of upcoming single “Right On”. 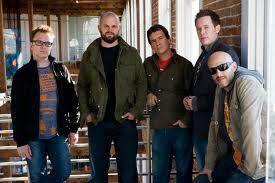 Catch Galactic this Friday and Saturday, March 21st and 22nd at the Fillmore. Purchase tickets here.